It is early February, 1799, a year of war. Sailing in the Caribbean, Captain Alan Lewrie, Royal Navy, is once again pursuing a chimera. A rich French prize ship he'd left at anchor at Dominica has gone missing, along with six of his sailors. What starts as a straightforward search for it, and them, from Hispaniola to Barbados, far down the Antilles, leads Lewrie to a gruesome discovery on the Dry Tortugas and to a vile cabal of the most pitiless and depraved pirates ever to sail under the 'Jolly Roger' . . . and the suspicion that one of his trusted hands just may be the worst of them all. Against his will-again-the usually irrepressible Lewrie is made his superiors' 'cat's-paw' once more, and his covert mission this time is to go up the Mississippi in enemy-held Spanish Louisiana to the romantic but sordid port of New Orleans in search of pirates and prize, where one false step could betray Lewrie and his small party as spies. 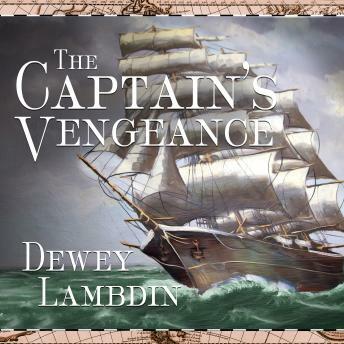 Beguilements, betrayal, and death lurk 'round every corner of the Vieux Carre, and it's up to Lewrie's quick but cynical wits to win the day for their survival and wreak a very personal vengeance on his foes.